a) Venue Terms and Conditions: These are terms and conditions imposed by the venue at which the Event takes place. 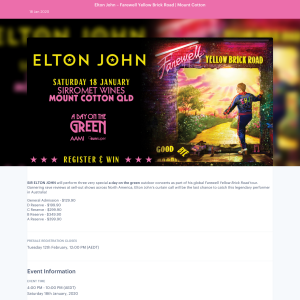 Applicable Venue Terms and Conditions will be made available at the point of purchase of your ticket from an authorised ticketing agent (Roundhouse Ticketing Agent). b) Event Specific Terms: These are terms and conditions imposed by Roundhouse that apply specifically to Your Event. To see whether any Event Specific Terms apply to Your Event, please see below. Roundhouse reserves the right to cancel any ticket used in breach of these Terms and Conditions or any Event Specific Terms. Tickets to each Event are available through Roundhouse Ticketing Agents. Roundhouse cannot guarantee any ticket purchased through any means other than Roundhouse Ticketing Agents (for example via resale sites such as Viagogo, TicketFinders or Ticketmaster Resale). b) where expressly permitted under relevant State or Federal trading laws.